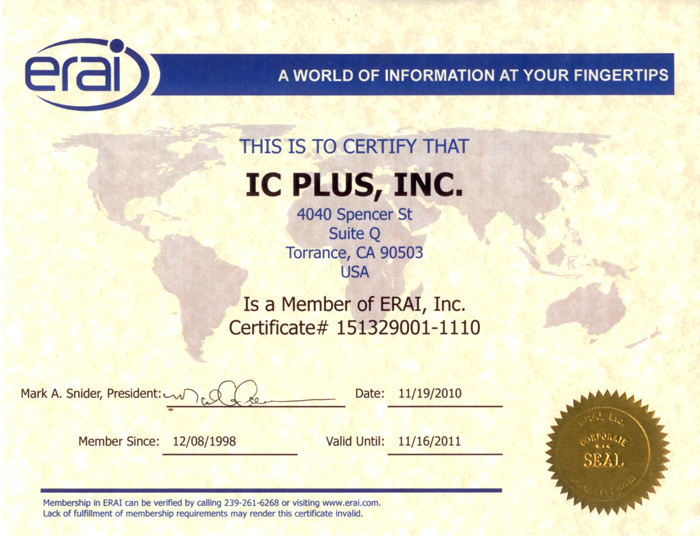 IC Plus, Inc. has prided itself for over 20 years in providing AAA Quality Assurance and Controls for ALL parts it handles. Our strict set of (white glove) rules as well as ISO guidelines ensure that all facets of our business from administrative to warehouse follows a system of checks and balances. 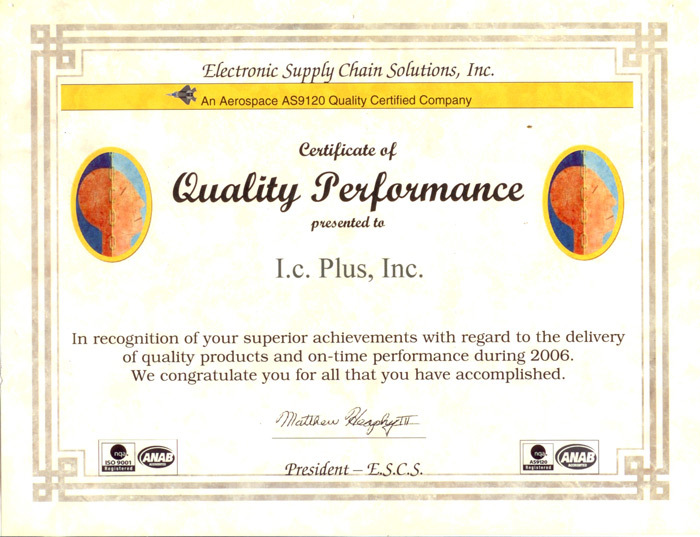 This internal corporate mentality has helped IC Plus, Inc become one of the leaders in quality assurance and quality controls. 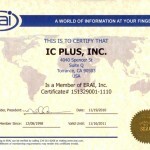 IC Plus, Inc utilizes a (72 Point Inspection) Process that is regarded as one of the most stringent in the industry. 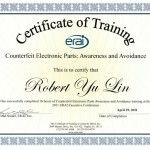 As you are fully aware, strict international purchasing sanctions as well as very well done counterfeit parts has made our industry rife with uncertainty. 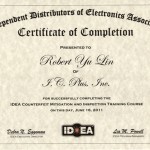 For anyone who is looking to purchase IC’s or any other type of component, finding a distributor who is reputable and follows ISO guidelines is a scary proposition. through rigorous training and have a combined 78 years Q/C experience. 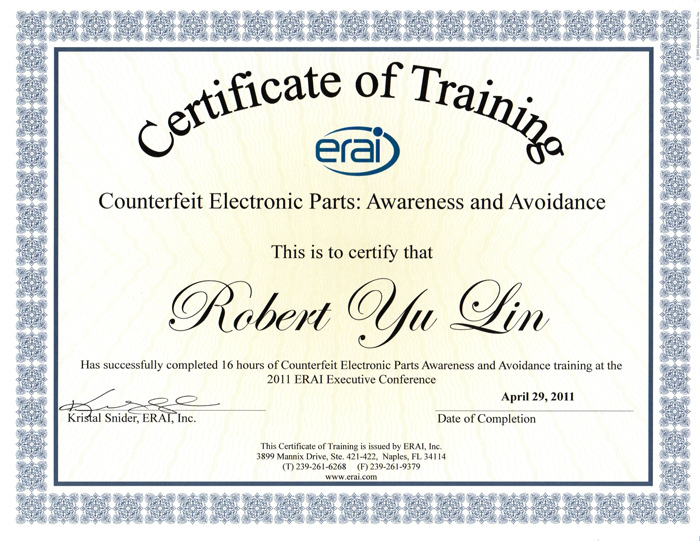 Knowing what to look for is the first step in preventing counterfeit fraud. 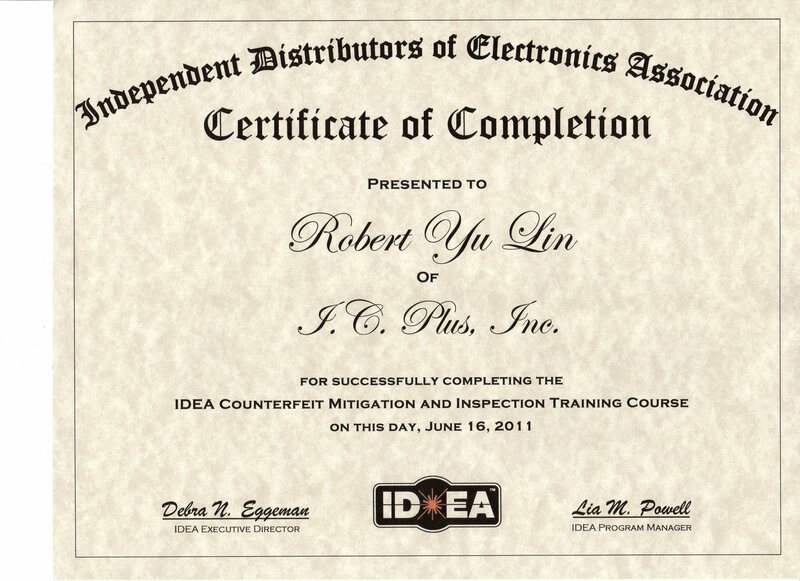 What to do when we find the counterfeits is the next step of the process. Knowing who our suppliers are and putting them through a strict approval process helps us deliver the best quality components to our clients. Counterfeit goods coming out of China are rapidly approaching ‘critical’ levels and have increased at an exponential rate in both volume and quality of the counterfeit. Having Q/C technicians who know what to look for and sales technicians who have long term established relationships with suppliers, puts IC Plus in a league of our own. Additionally, we are also a “good standing” GIDEP member and adhere to all government and military industry quality codes and standards. Our registered Cage Code# 3PNL7 has been in good standing for many years, the Cage Code signifies that we are an approved government contractor recognized by the U.S. Department of Defense, NASA, the U.S. Department of Transportation, as well as other federal government agencies as an ISO 9001:2008 certified (pending) distributor of electronic components (ic’s). 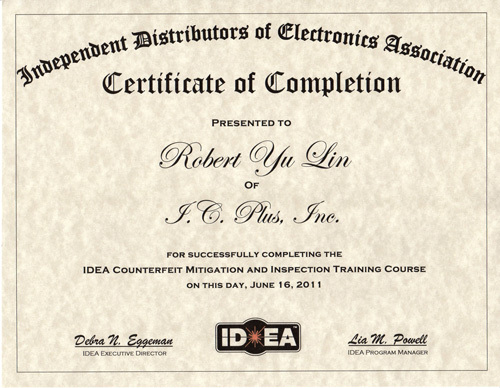 Certifications such as these as well as our strict internal guidelines have made IC Plus, Inc, one of the leaders in obsolete and hard to find electronic component procurement. 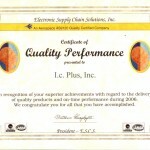 As an industry leader, IC Plus, Inc offers an unconditional 30 day money back guarantee on all parts it ships to its client. We take great pride in our Quality Controls process and back it up with a 30 day money back guarantee on all form, fit and function of any part it sells.